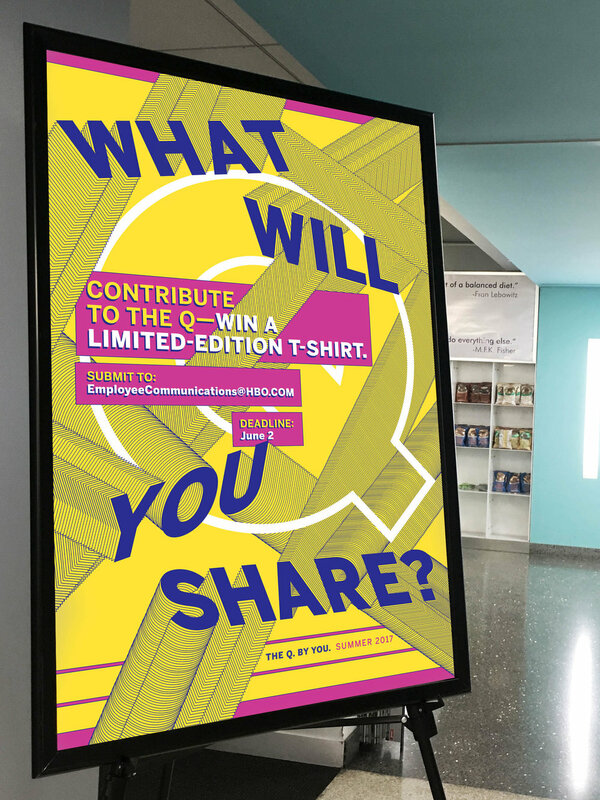 Poster campaign developed to promote contributions to the upcoming Summer issue of The Q — The HBO Quarterly Newsletter. The Q is available to all HBO employees and sources it's content from them. It contains a variety of interviews, opinion pieces and highlighted company events. A two-panel version of this poster was customized for a specific location in the building.